Voted one of the “Top Ten Farmers’ Markets” by Sunset Magazine, the Santa Fe Farmers’ Market is one of the oldest, largest, and most successful growers’ markets in the country. Serving more than 150 farmers and producers in 15 Northern New Mexico counties, the Market brings fresh food, education, and fun to our community and promotes small farms and sustainable agriculture in Northern New Mexico. Taos’s premiere, authentic summer market, offers farm-direct groceries from eight northern New Mexico counties and Costilla county, Colorado. ​We offer a large variety of fresh, local vegetables and fruits as well as cheeses and dairy products, delicious baked goods, honey, grassfed meats, eggs, jams, chutneys, flowers and plants. We have live music and entertainment too! 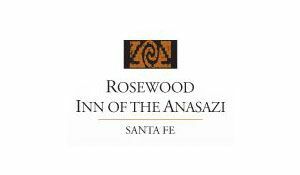 We are a favorite, festive venue for young and old alike and take pride in offering this in Taos - a unique and special town, steeped in tradition and great beauty. Come one, come all, but please, out of respect for the growers, leave your dog at home in the shade! The Co-op is New Mexico’s largest community-owned natural foods market. We are your one-stop shop for all things fresh, fair, local, and organic!The Co-op is a friendly neighborhood store where the community can stop by for beautiful produce from farmers down the road, delicious lunches prepared by our expert deli chefs, beautiful gifts handmade by local artisans, and a wide selection of local and organic groceries including bulk foods, meats and cheeses, and natural body care. The Agri-Cultura Network is a farmer-owned brokerage that sells sustainably grown, local produce to restaurants, institutions and families. A collaboration among small farmers in the South Valley of Albuquerque, New Mexico. We share our labor and resources and aggregate our food to sell to local markets. Beneficial Farms CSA provides affordable weekly shares of healthy, locally and regionally grown food to our members year round. Saffron, fresh seafood, tapas, jamón and paella, Signature dishes from Andalucia, Catalonia, Madrid and the exotic regions of Spain. Live Flamenco, Blues, Tango and Jazz. Sangria, full bar and a fine wine bodega. Highly-trained staff and a chef from Spain – El Mesón has it all. Chef Joseph Wrede is a Food & Wine Best New Chef, the winner of several AAA Four Diamond Awards, several DiRoNA Awards and has received both Wine Spectator and Wine Enthusiast distinctions. Joseph’s Culinary Pub is a creation of Chef Wrede and his creative and business partners. This is the third incarnation of Wrede’s original Joseph’s Table, conceived in Taos, New Mexico, not quite 20 years ago, for which he is well known and loved within the region and beyond. Joseph’s Culinary Pub is designed to be a platform for Chef Wrede’s unique and uncompromising vision on traditional and contemporary cuisine, both regional and international. Bouche Bistro looks and feels like a neighborhood Parisian locals' hangout, complete with cozy banquettes, open kitchen and, weather permitting, one of Santa Fe's nicest patios. Inspired by his native France and the simple, light-hearted cuisine one finds in its intimate, authentic bistros, award-winning chef Charles Dale and his team cook unfussy fare enhanced by a well-chosen and gently-priced wine list. Izanami is upscale izakaya dining. Typical Japanese izakaya serve small plates in a casual atmosphere. Food is designed for sharing, normally ordered slowly, and comes from the kitchen when ready. 90% of our pork, chicken, wagyu beef, and produce is organic or sustainably raised by purveyors we know and trust. Fresh ingredients are emphasized in all our preparations. we make our own desserts, ice cream, and pickles in house. Since we’re a thousand miles from the ocean, we have chosen to serve NO FISH except on the omakase chef's tasting menu and on special occasions. Many items on the menu are gluten free (indicated by gf). Please inform your server of any dietary restrictions. Located on W. San Mateo with easy access off St. Francis and St. Michaels, the aptly named Midtown Bistro offers fine dining with a regional influence in a warm sophisticated atmosphere. Since opening in 2013, the restaurant has become a favorite with locals and tourists alike. Recently, Midtown Bistro enhanced its already stellar reputation by adding a bar, acquiring a liquor license, and expanding the restaurant to accommodate private parties. The food at State Capital Kitchen will be connected to local farmers, ranchers and foragers and crafted with love. Dinner service consists of progressive courses, using carts for our guests to choose from and will be accompanied by a classic menu. We use ingredients from sustainable fisheries, small farms and ranches, as well as from the wild. We attempt to serve the best ingredients we can find in our area without losing the connection to their natural state. Our dining experience is meant to represent our landscape as well as the changing seasons with warmth, authenticity, excitement, and imagination. We aspire to affect change in our community around nutrition and local food economy. Verde strives to be a zero-waste business model with a unique approach to responsible sourcing. Wild Leaven Bakery sells around a dozen varieties of bread. “The most popular kinds are green and red chile cheese bread, sourdough and whole-grain German bread,” Kempton said. The Yucca Plaza space is also home to the café with a made-from-scratch menu that changes practically every day. "I started Intergalactic Bread Company at the community kitchen in Taos and quickly grew. I moved into a bagel shop where I would do my processing and baking when they shut down at night. I saved money and started my own kitchen in Santa Fe to be closer to my main market - the Santa Fe Farmers Market - and have continued to grow adding new products - like five Intergalactic Space Sauces which, like Intergalactic Breads, are made with locally grown New Mexico fruits and vegetables. "